Group of children playing with a makeshift diving board at Brittingham Bay swimming hole. 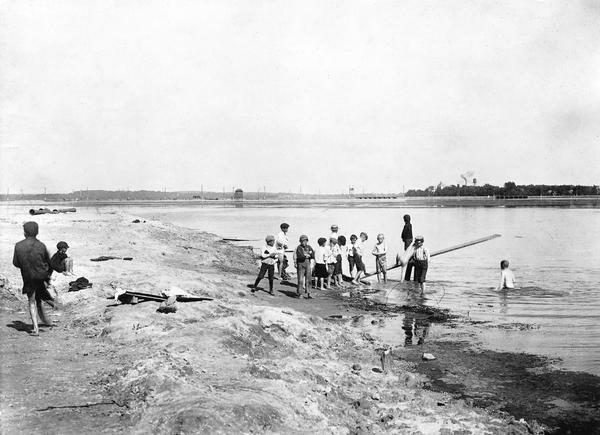 Swimming was illegal in Madison until 1879. Despite city efforts to cover swimmers from "neck to knee" in an 1879 City of Madison ordinance and the construction of bathhouses on Lake Monona and Lake Mendota, swimmers preferred skinny-dipping.